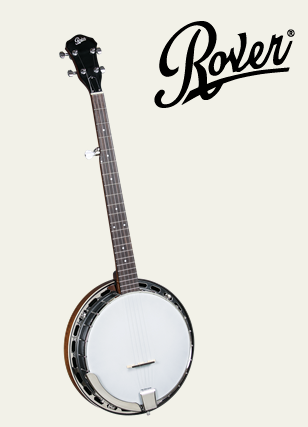 When you're ready to step up to your intermediate 5-string banjo--we suggest you check out the RB-25 by Rover. This is a high-quality instrument with a professionally styled resonator--more volume and carrying power to match your developing banjo skills. The neck is fast and accurately-fretted--it plays just like our most expensive banjos--but the low price of the RB-25 makes it affordable for any serious student. The geared 5th peg and brightly nickel-plated metal hardware are just a few of the many points of excellence that make the RB-25 by Rover a world-beating value!